I’ve just made it past the halfway point of my last fall term in nutrition grad school. I’ve been working with clients in clinic these past few weeks, experiencing all that I’ve learned in the last couple years come together in practice, and enjoying it so incredibly much. Getting to the clinical work has reinforced why I’ve spent so much of my energy on this career shift endeavor when I get to sit with someone and offer even a little bit of individualized support. In addition to nutritional recommendations, I also give interventions that address balance from a whole systems perspective which is in line with the integrative and holistic approach to my program. This often means I try to emphasize stress reduction and relaxation practices. On the closer to home front, I’ve been trying to take some of my own advice and incorporate downtime each day for relaxing my system, an intention I constantly struggle with. Inevitably I often forego the rest I need and end up in the kitchen instead. My only excuse is it’s pumpkin season– and I find baking quite restorative! Since it is pumpkin and winter squash season, The Recipe Redux theme this month is Fresh from the Pumpkin Patch. We’ve had a string of mostly gorgeous days so far but once this fall season finally and truly sunk in, I began cooking lots of very autumn appropriate Ayurvedic recipes from Kate O’Donnell’s Everyday Ayurveda Cooking for a Calm, Clear Mind. Nutritionally, the recipes are helping rebalance my system after a rough end-of-summer transition. The first portion of the book is all about the Sattvic lifestyle in Ayurveda–a way of life I’ve been gleaning more from as time goes on and I notice how I fare better with less stimulating foods, practices, and experiences. These muffins are a deviation from a recipe in the cookbook. If you’re a runner and a fan of the Run Fast Eat Slow superhero muffins, they’re also quite similar, but I’ve upped the emphasis on using walnuts and chia since they both are rich in omega 3’s which are an essential fatty acid that most of us need more of. 1/4-1/2 cup water or nut milk, as needed. Preheat oven to 350 degrees F. Line muffin tins with baking cups or oil and flour them. In a medium bowl, whisk together the ground chia seeds and water. Let this stand for 5 minutes. In a separate bowl, mix the ground walnuts, oat bran and oats, salt, turmeric, baking soda, and baking powder. Add the coconut sugar, pumpkin puree, and coconut oil to the chia seed mixture and stir until well combined. Stir in the ginger and the raisins. Add the dry ingredients to the wet and mix until it just comes together. If the batter seems a touch dry, add water or nut milk just until it becomes a touch looser, but only add up to 1/2 cup, as they won’t need much. This step largely depends on how much moisture content your pumpkin puree has in it. Divide into the muffin cups and bake for 25 to 30 minutes, or until they are golden brown and a toothpick in the middle comes out clean. I have a big race planned for the morning of the 4th and am now in full on taper mode for the next few days. As anyone who has raced the marathon distance or longer knows, the taper period can be full of anxiety, pre-race nerves, last minute poor decisions, and all around stir-crazy-ness. This time around I haven’t had a big taper due to some training adjustments a few weeks back. It has also become my norm now to fit in my summer classes around the rest of my life so a lot of my otherwise “free” mornings, early evenings, and weekends are spent with my head in a gazillion research papers or on clinical nutrition cases. So all in all, I can’t complain about the current taper. Even so, as is maybe obvious, I’m definitely prone to anxiety as my emotional go-to, and as the day grows nearer, I’m starting to have a little of that prickly circular overthinking creep in. At this point in my nutrition program, I’m close to being done on paper, but I’ve returned to taking minimal classes each term to retain some semblance of work-school-life balance so it will still be another year or so to finish. The classes I do have left are also the most intensive because we’re starting to pull all the pieces together and use them in clinical work. Lately, we’re focusing on nutrition for mental health disorders such as anxiety and depression, and I was glad to see some good solid research supporting the use of lavender for anxiety symptoms. I created a lavender tincture for one of my herbal classes last year for this very reason and on certain days, nothing is so wonderful as opening the top just to let it’s floral aroma infuse into and calm my system. I also created a tincture formula that uses lavender for just this calming and grounding purpose, and there’s one more left in my online shop, if you’ve the mind. Lavender, in addition to its ability to relieve nervous tension and anxiety, also helps with cognitive function and exhaustion. Its essential oils in the flowers have antioxidant and anti-inflammatory properties as well, and I find their aroma just lovely. The recipe below is one of my favorites for a mid-afternoon snack and it ups those anti-inflammatory abilities by packing in lots of blueberries, greens, and healthy nuts and seeds. The lavender really rounds out all the flavors and adds that calming touch. – Add culinary-grade lavender flowers or if available, 1/4 to 1/2 tsp. lavender extract/tincture. – I’ve experimented with lots of plant-based protein powders and currently enjoy PlantFusion brand for its easy digestibility and fermented ingredients. Vega Sport and Garden of Life Sport are also good. – If you make smoothies or smoothie bowls on the regular, keep in mind it’s wise to change up your choice of greens on the regular to get in all the good nutrients each type has to offer. Combine all ingredients in a high speed blender or food processor and blend until smooth. Add additional liquid to reach your desired consistency. I prefer mine spoon-able. I recently taught a class to adults about shopping and cooking simple, healthy meals, and at one point we brainstormed “go-to” meals when time, ingredients, and/or funds might be short. And then we upgraded them. Surprising to me, sandwiches made the list and when I asked for clarification, simple sandwiches like PB&J and grilled cheese qualify as a complete dinner meal for some. I rarely eat sandwiches for dinner anymore but I definitely did in college. Nowadays, sandwiches, whether true to their type or open-faced, frequently make their way into my lunch options when I’m nearly out of leftovers, or need to re-imagine what’s available and quick to eat. 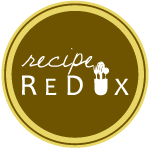 Since The Recipe Redux asked for sandwich upgrades this month, I got to reflecting on the myriad ways I make sandwiches interesting by adding simple, flavorful spreads or sprinkles to take a ho-hum quick meal into something spectacular. In the interest of helping keep your summer sandwiching interesting, I’ve also got a brief list below of other options to pile between your two favorite slices of bread. a quick lunch with leftovers reimagined: pureed cooked lentils, a drizzle of tahini garlic sauce, roasted vegetables, and pistachio and flower dukkah to top it off. 1-2 Tbs. various dried flowers, such as lavender, calendula, rose petals, etc. In a saute pan, toast the pistachios and seeds until fragrant and lightly colored, about five to eight minutes. Then pour onto a plate to cool. Alternatively, if the pistachios are already lightly roasted, add them in at the end of the this step. Once sufficiently cooled, transfer the nuts and seeds to a food processor. Add the herbs, dried flowers, 1/4 tsp. salt to start, and pulse until the mixture is roughly ground but not yet paste-like. The goal is a fine but still crunchy textured mixture. Taste and add additional salt, if necessary, as well as a few pinches of black pepper.